There are only a few days left of the Nordstrom Anniversary Sale! Scrambling to find the perfect items to snag for a steal may be overwhelming this late in the game, but no worries — I have gone through to find the top picks under $100. 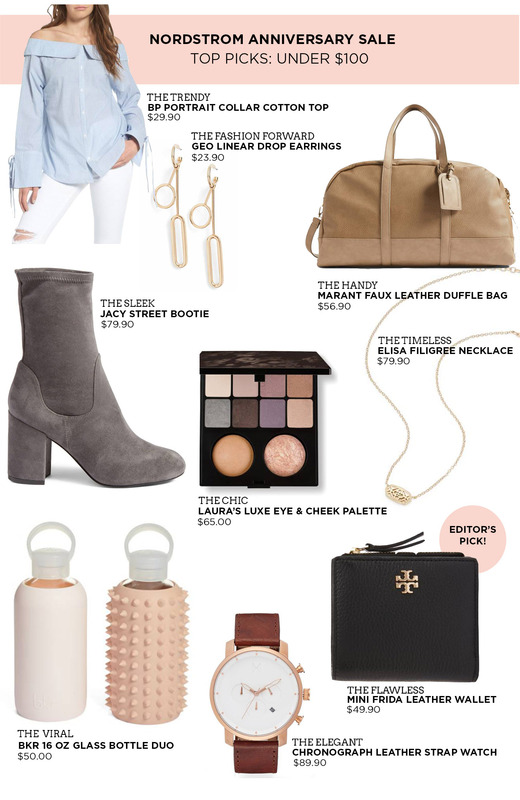 These items are all some of my favorites that I’ve either purchased (I’m OBSESSED with the Laura Mercier Luxe Eye & Cheek Palette) or have my eye on (The Tory Burch Mini Frida Leather Wallet is calling my name). I’ve also gone through and pulled out the best items under $100 for different categories below. Items are selling out by the minute, so hurry before they’re all gone!